Mongolia Archives - BOUNDLESS HIMALAYAS TREKKING & EXPEDITION (P.) LTD.
Mongolia is a landlocked country located between China and Russia. It is a vast emptiness that links land and sky, and is one of the last few places on the planet where nomadic life is still a living tradition. Mongolia may have geopolitical, cultural and geographical meanings. Mongolia consists of historic Outer Mongolia. The province of Inner Mongolia is geographically and politically separate and located in northern part of China yet it shares common borders with Mongolia. Mongolia, known as the land of Genghis Khan, the world’s last nomads and the land of eternal blue sky, is such great place that possesses so many things to offer which still remain untouched and unexplored by modernity. 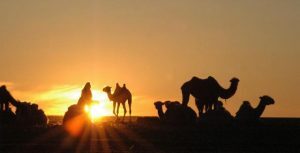 The famous Gobi deserts and grasslands are the places that do not require any introduction and are not to be missed. Mongolian Culture is unique and dissimilar to anywhere else in the world. The combination of history, nomadic civilization, its customs and traditions and the nature is so unique that makes Mongolia a truly special experience.